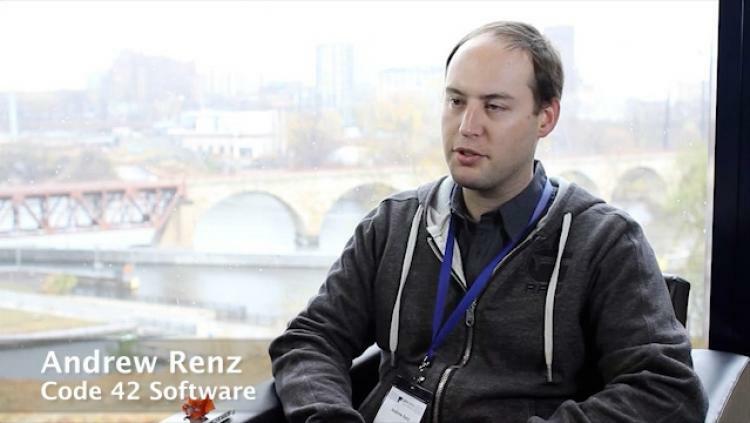 With the mighty Mississippi rolling by behind him and the JAMF Nation User Conference winding down, Andrew Renz from Code 42 sat down with us for a moment to talk about the close connections between JAMF Software and Code 42. We have a long history of working closely together and tightly integrating our products, which helps our many shared customers to benefit from our close partnership. The benefits are many, but often manifest themselves in the products in ways such as Self Service Plug-Ins, custom Extension Attributes, and also in our shared knowledge of large enterprise deployments garnered from working together with many customers. Andrew sums it up nicely in this video, and we were thrilled to once again have Code 42 join us at the conference this year. As an aside, this close partnership that we've managed to forge certainly has been made easier by the fact that we are both based out of the Minneapolis. In fact, the Stone Arch Bridge that curves across the river over Andrew's shoulder is definitely the most scenic route between our two offices. With just a short walk or bike ride across the bridge from one side of the river to the other, we can easily drop in on each other to talk about technology or just enjoy the views. We love it.